I have fantastic news to share!! From today the Geek Heaven Store is up and running. 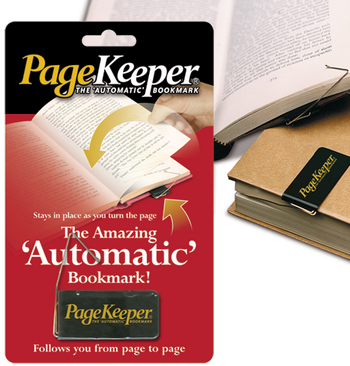 It will be the first Norway based company to sell the PageKeeper bookmark. You might have seen me using the PageKeeper on my instagram pictures? My father came upon this product a while back and he gave me one. As the bookworm that I am, I fell in love with this product immediately! After a while, friends and family started asking me where I’d gotten the amazing bookmark and that’s when I found out that the product wasn’t in any Norwegian web shop or store. This had to change! So I took matters into own hands and contacted the PageKeeper company and now the product will soon be here! I’m starting out with a small web shop and I’m excited to see where it will go from here! Congratulations on your new venture! I hope it goes well.